Last year, I was a jerk about bringing extra mallets into the Skatium. In theory, it was a great way to keep people from using multiple mallets as multiple place holders in multiple next game piles. In reality, it limited our ability to have special games/grudge matches because pulling your single mallet out of the rack of next game piles was an unsettling game of "find the needle in the pile of needles." This year, we encourage everyone to bring an extra mallet or two because we intend on having entertaining grudge matches at random points throughout the 24-hour extravaganza (state vs. state...city vs. city...dream team vs. dream team...etc.). This liberal attitude towards multiple mallets does not mean that we are going soft on anyone we catch with more than one mallet in the next game piles. 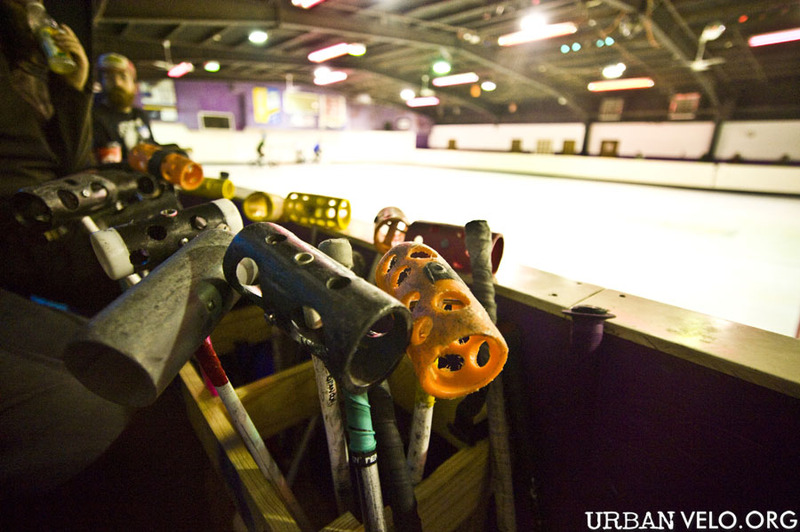 Anyone caught stacking mallets will be booted out of the Skatium and left to fend for themselves on the mean streets of Saint Louis. Good luck.